A new proposal has been submitted by Gordon Corp for a new integrated residential and resort hotel development known as the Coomera Master-plan proposal. 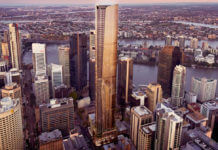 The development comprises of three buildings ranging from 12 – 27 storeys and occupies a 19,200m2 site next to the M1 and Dreamworld’s White Waterworld theme park. 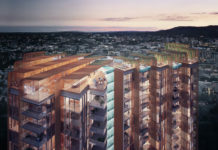 The development is expected to accommodate a plethora of entertainment and recreation facilities including retail, dining and entertainment uses including lagoon style pools, indoor and outdoor recreation areas as well as public artwork. A plaza and pedestrian connection through the precinct will allow for convenient pedestrian access to neighbouring theme parks. The development application is seeking a preliminary approval for the broader master-plan with detailed applications for future stages planned in future. According to the DA, the design aims to create a unique oasis wonderland setting that provides and exhilarating level of fun and excitement to inspire the resort’s visitors and guests and turn it into an unrivaled, world renowned, iconic destination. 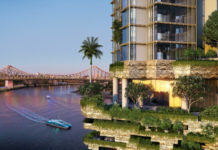 The new master-plan application comes soon after China’s richest man, Wang Jianlin, the developer behind the billion dollar Jewel project on the Gold Coast announced plans for a multi-billion dollar theme park near Dreamworld. Last month Wang’s Dailian Wanda Group successfully acquired Legendary Entertainment sparking rumours he is planning a Universal Studios style theme park in the theme park capital. The DA number for this development is MCU201600219. Please email me updated on this project.